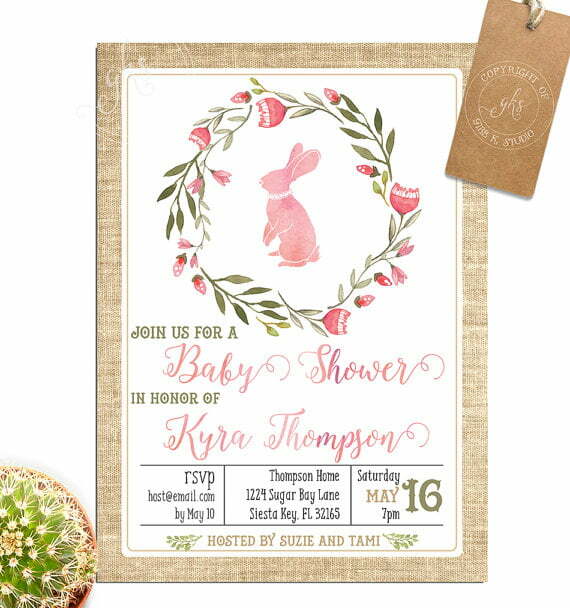 Are you confused defining your baby shower party? 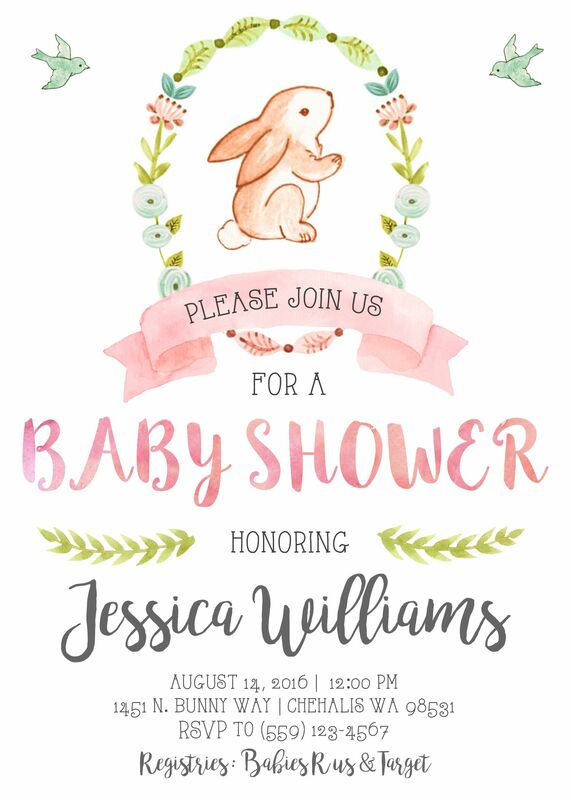 Get this free printable bunny baby shower invitation template file to perfect the party. 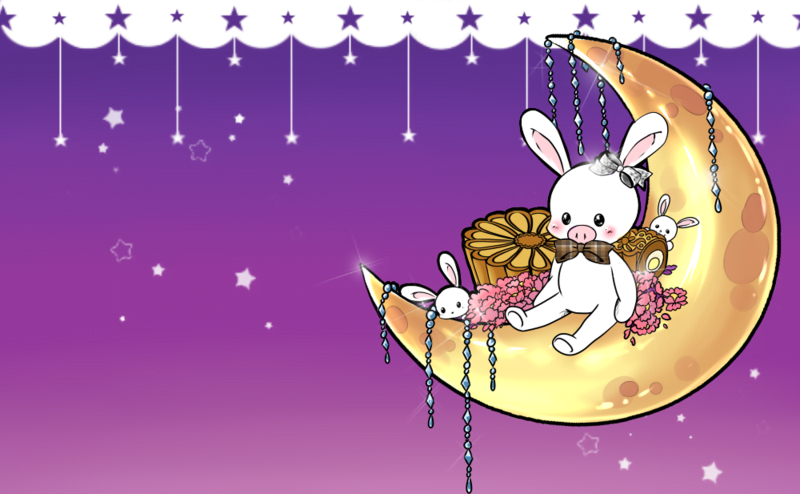 Animal lover must be agreed that bunny is a cute animal. His long white ears are so wonderful. Why should you use this printable file? This file comes in JPEG format that is very easy to have. 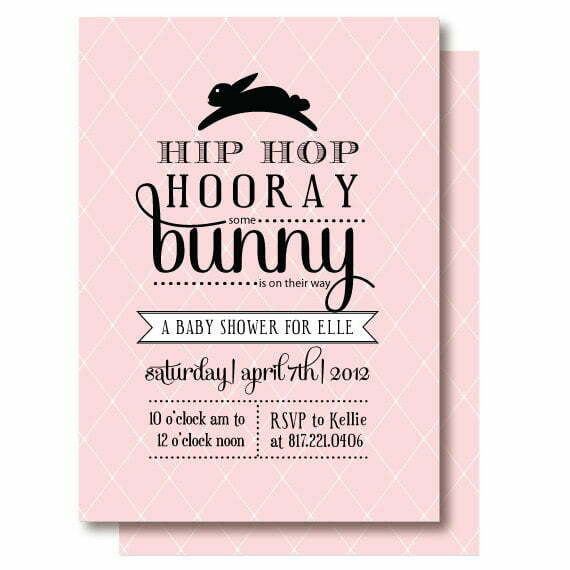 You can write the party information such as the baby’s name, the date, time and place in a blank space we given. The way you fill in may vary. It is possible for you to use marker or editing software. While the second option is the best. 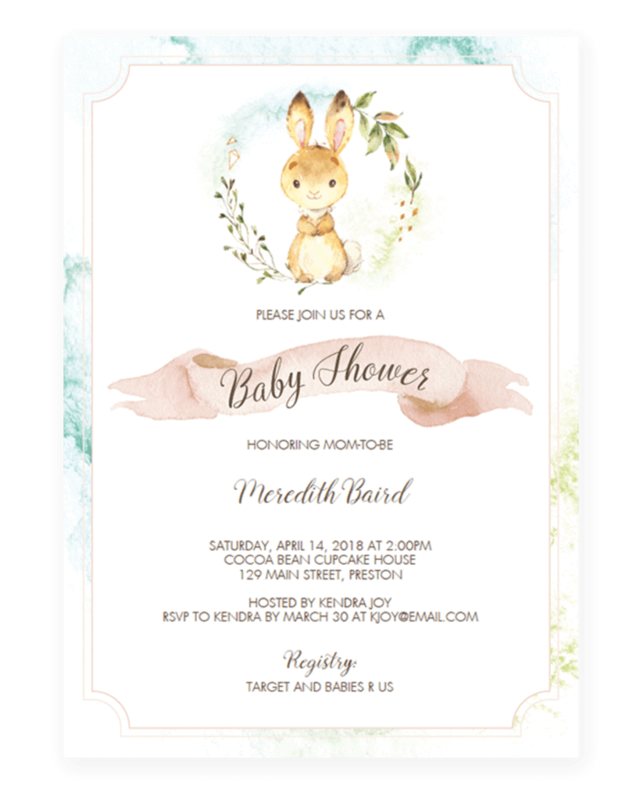 Don’t worry, it is really simple to download this free printable bunny baby shower invitation template file. You just need to click on the image and choose Save Image As menu. Then you have to save the file to the computer. Put it on your folder and you are ready to edit it. We recommend you to use a cardstock paper. It is different from other paper because it gives you an authentic and sharp image. Since the file has high resolution, you should better use the paper. If you want to have different size, easily you can resize the file in editing software. So many wording examples are available on Google. Besides, you may also write down your own words. Here we have an example you can use. 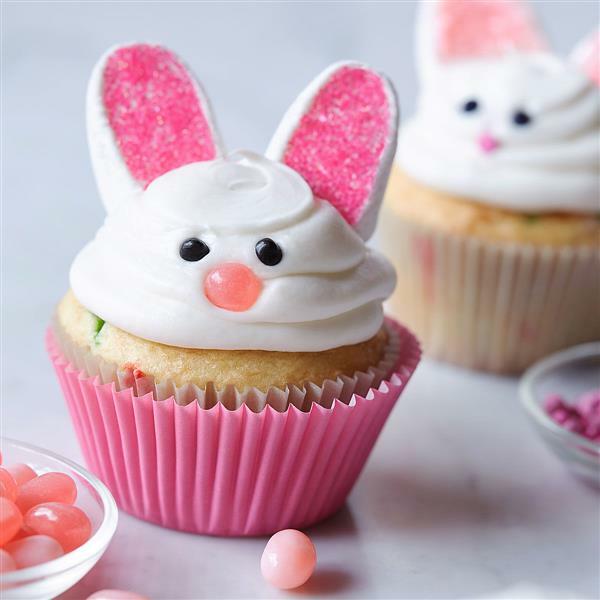 To get awesome baby shower party is so simple. 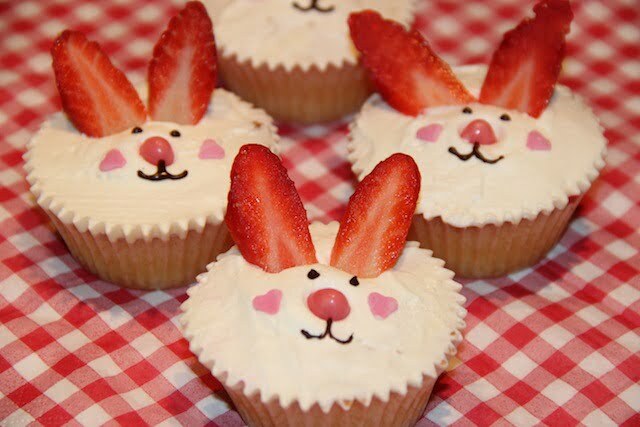 Many people love to have cupcakes since it is very easy to make it. If you don’t have time to cook, simply you can order to the bakery near you. 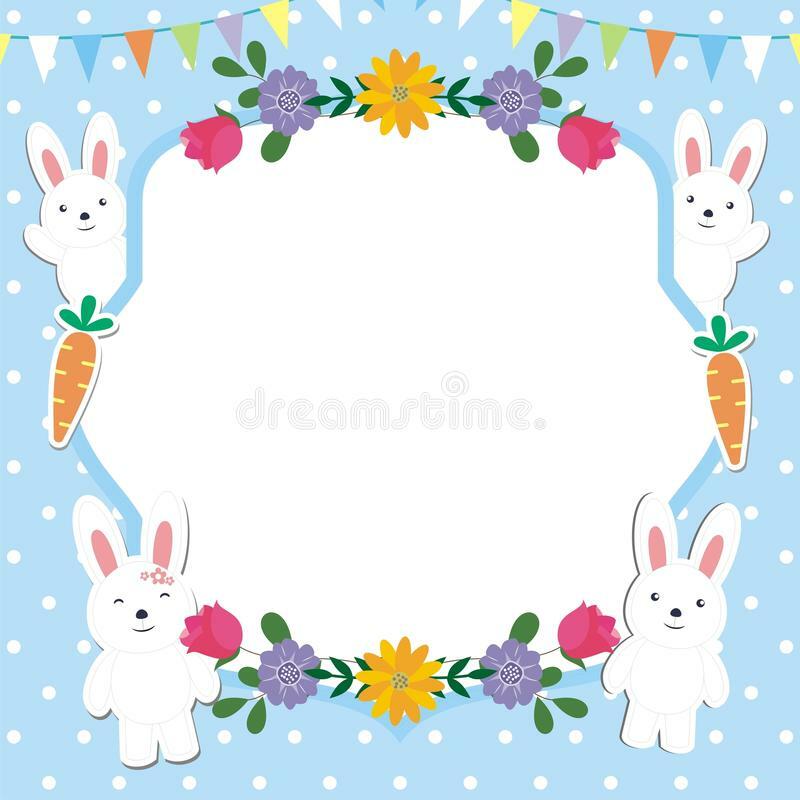 Look at the party ideas below.